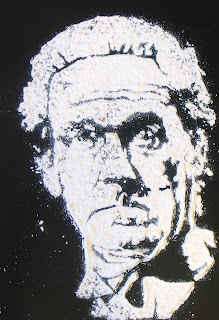 john cleese as archie leach in "a fish called wanda" made from corn starch. yes, i know, archie leach was cary grant's real name. but i've already done cary grant. besides, i've got "wanda" on the brain since it's currently available on demand and i watch it maybe three times a week. you know, as background noise.